A star from the 2000s TV show Entourage, Kevin Connolly, is working on another show called Cryptos, he announced following a surprise appearance at the North American Bitcoin Conference in Miami last week. 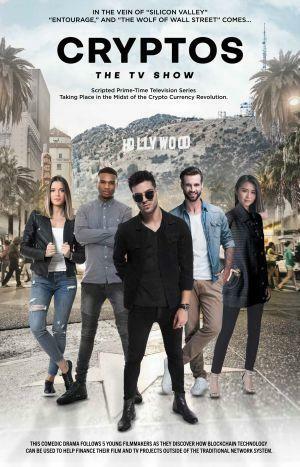 Similar to Entourage, this show will follow a small group of friends as they navigate a cutthroat movie industry by launching a token and decentralized film studio in order to finance movies. “This comedic drama follows five young filmmakers as they discover how blockchain technology can be used to help finance their film and TV projects outside of the traditional network system. 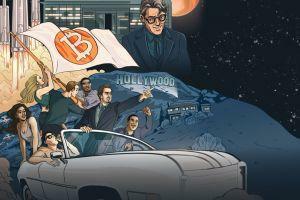 Cryptos is in the vein of other scripted shows like ‘Silicon Valley,’ ‘Entourage,’ and ‘Ballers,’” explains the official website of the show. Sords and King hope Connolly’s addition will help the project into production. According to Breaker magazine, they are in the process of producing the first 10 episodes, with the hope of being picked up by Netflix, Amazon Prime, or another content-hungry platform. However, they are still in very early stages. The Cryptos will not be the first attempt at televising the cryptocurrency space. In April last year, director Sam Lucas Smith announced he was working on a series of short comedies and sketches on current trends and technology, to which he published a pilot episode titled “Buy the Dip.” Even earlier, in March, a movie titled “No Postage Necessary” was announced to be the first film to be released using blockchain technology.